One of the great things about living in a residential/commercial style apartment building is you have restaurants literally a few feet away. Ever since Umami opened a few months ago I’ve been wanting to give them a try and this past weekend I was finally able to give them a try. Umami describes itself as Asian fusion. The menu has an assortment of different styles of Asian food ranging from Korean tacos, to Ramen and sushi. There were lots of things on the menu I definetly wanted to try. However, being that I am on a low carb diet majority of the menu was not an option for me. I ended up ordering the galbi which is Korean barbecue for those of you unfamiliar with it. Typically the dish comes with rice but I was able to make a special request and sub it for steamed vegetables. Which was a huge win in my book. Steamed vegetables wasn’t an available side item on their menu. Everything was super yummy! 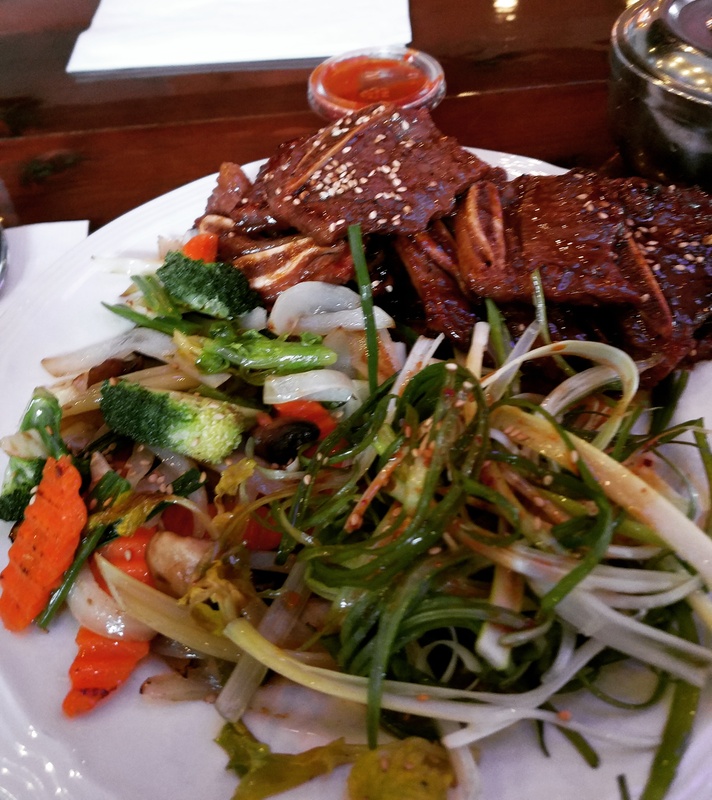 The galbi had a good smokey flavor to it and the veggies were delicious too. If you’re ever in Nashville I would highly recommend giving Umami a try.